The S&P 500 fell more than 9% from its September 19 high to its October 15 low. Experts attributed the sell-off to numerous concerns including the prospect of higher interest rates, the deterioration of the European economy, the deceleration of the emerging market economies, and escalating geopolitical tensions from Russia all the way to Iraq. One particularly frightening concern was the spread of the Ebola virus. While the human tragedy is immeasurable, most economists have argued that the direct economic impact of the virus is likely to be minimal to almost negligible. However, the indirect impact (i.e. the impact on consumer and investor sentiment) was almost tangible just based on the amount of media coverage it got. 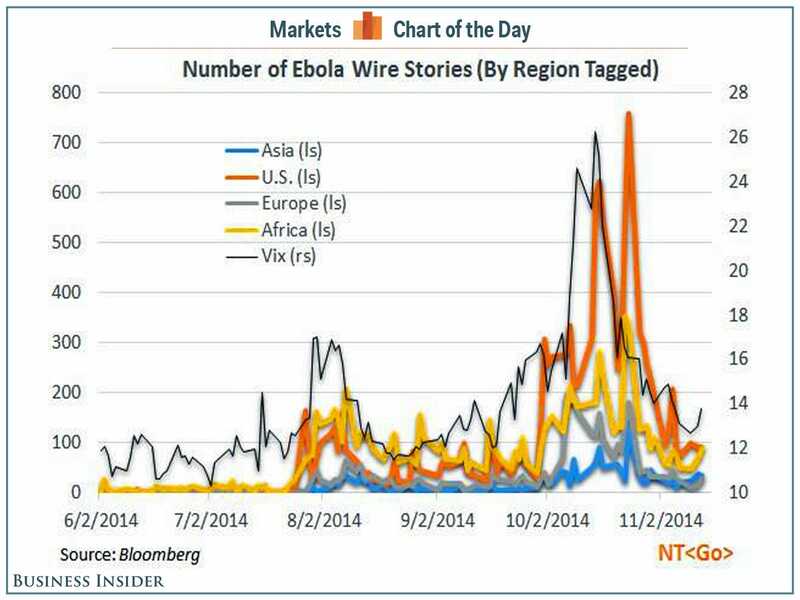 Bloomberg chief economist Michael McDonough tweeted this chart overlaying the frequency of ebola-related newswire stories with the VIX, or the CBOE Volatility Index.The VIX, a rough measure of traders’ fears spiked as the markets sold off and then receded when the markets came back. 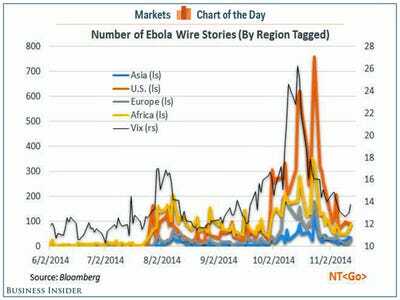 As you can see, there’s a pretty decent correlation between the number of Ebola virus stories and the magnitude of the VIX. So, is this a spurious correlation? Or did fear of Ebola cause the stock market sell-off?